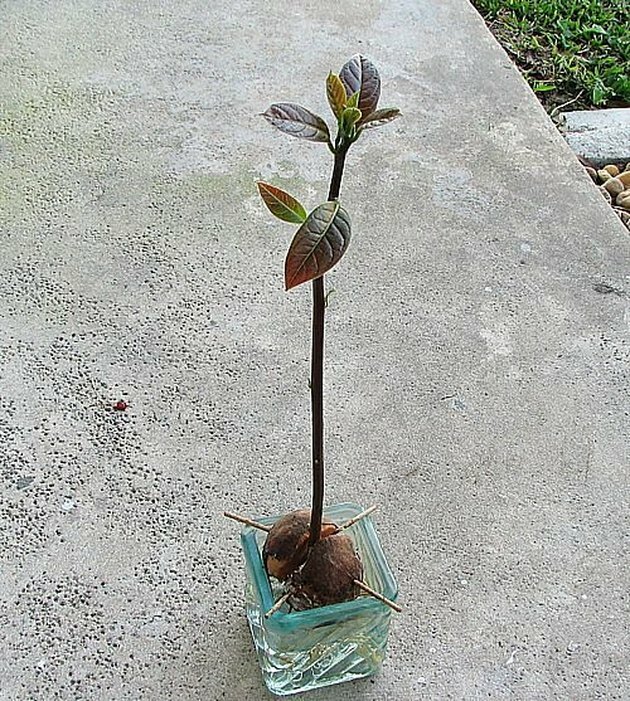 How to Grow Avocado in a Pot. 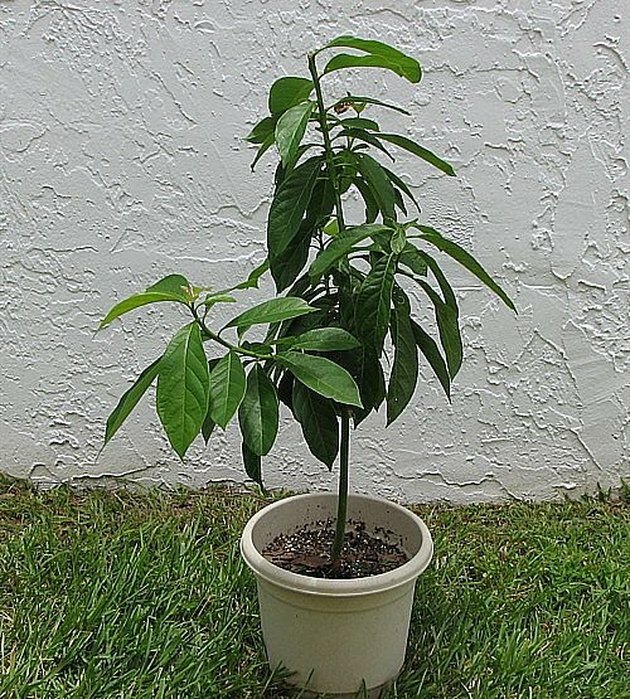 One of the easiest trees to grow from seed is the avocado. You can even grow it in a flowerpot. Given proper exposure to sunlight, you can keep it as a houseplant. Here's how. Save the seed. 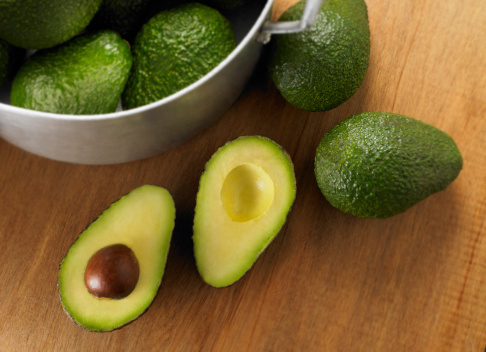 When you cut open a ripe avocado, scoop out the seed carefully, rinse off the slippery coating and pat dry. Do not remove the brown seed cover. Mount the seed in water. 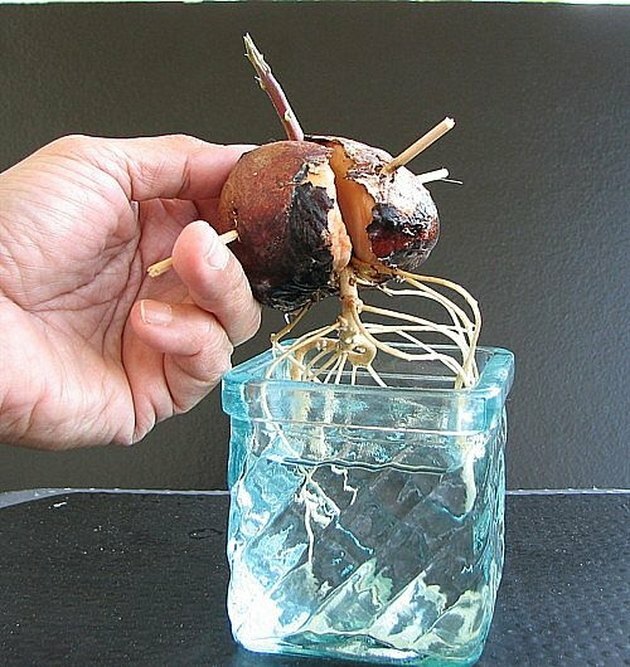 Prepare a glass container where you will mount the seed until it grows roots. 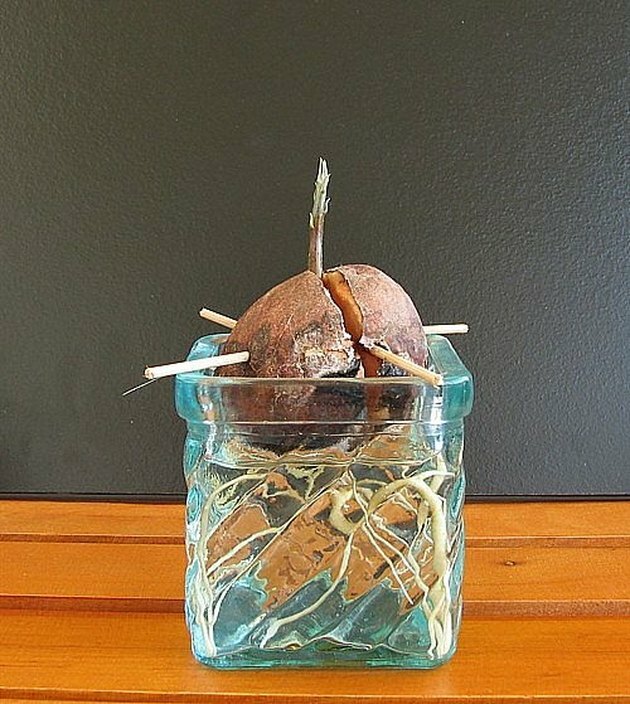 Punch the sides of the seed with three to four toothpicks that will hold the seed up so that it doesn't sink into the water. Rest the seed on the mouth of the container with the pointed end on top. Pour enough water into the container to submerge the bottom side of the seed. Monitor the water. Check the water level everyday. Be sure the bottom of the seed is submerged. Change the water two to three times a week to prevent molds. Let the seedling grow. 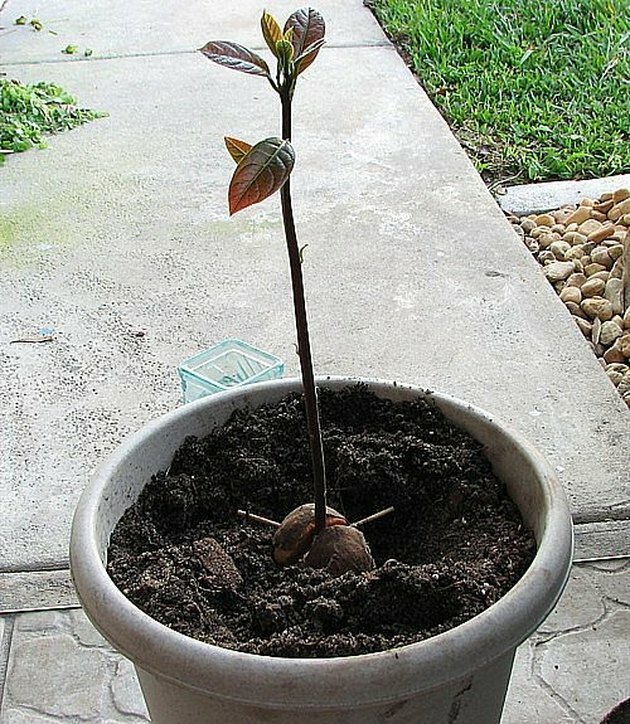 Leave the seed in the water container until it grows big, strong roots and a healthy shoot with several leaves. This will take several weeks. Transplant the seedling into a flowerpot. Choose a medium-sized flowerpot and good quality potting soil. Plant the seedling so that the top of the seed is somewhat exposed. This ensures that the base of the seedling trunk doesn't rot under the soil. Provide full sun and water when the soil becomes dry. Fertilize during the growing period (spring and summer). Prune as desired. 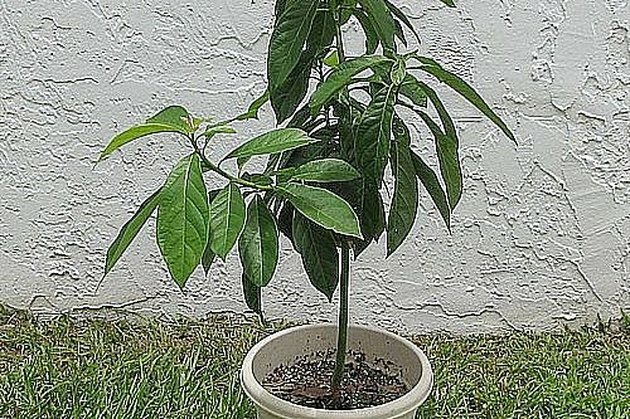 Nip off the tips of shooting branches to encourage side growths, leading to a short but lush tree and an excellent houseplant. Mount the seed in water. Prune for an excellent houseplant.